Do you feel like you are on a treadmill just going nowhere? Are you not seeing the results of all your efforts? Increase your Confidence and overcome your phobias by unlocking your sub-conscious mind. What issues are preventing you from enjoying life? Do you feel like you are just going around in circles? 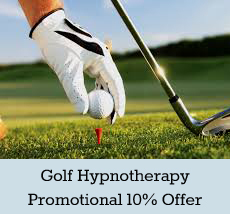 Hypnotherapy can be such an effective way of helping change mind-set, behaviours and beliefs. It is a delight to assist people getting that control and quality of their own lives back on track. Having worked globally for many years, I have been fortunate to have seen some of the most impacting positive results of Hypnotherapy. I have witnessed how it can assist people in realising barriers which are holding them back in life and changing the way forward, forever. 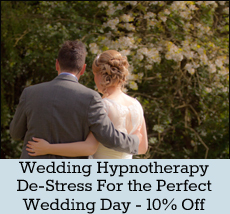 I have personally experienced the benefits of Hypnotherapy over the years – it changed my life! Hypnotherapy will allow you to take the steps to change your life, as long as you truly want to. Every client is unique and as such we offer bespoke hypnotherapy to address those specific issues. Everyone is different with their own issues and challenges. Hypnosis provides a pathway for accessing the subconscious mind. It allows the individual to pinpoint the issue at hand to focus on altering his or her perception or self -belief of a particular activity or habit that needs improvement. We all go into a trance like state every day. Remember the car journey when you suddenly think “How did I get here?” Actually, it was your sub-conscious which took over! Sometimes we refer to this state as being on ‘auto pilot’, when in fact you have been in a trance-like state and immediately snap out of it if something untoward happens. A good way to think of Hypnosis is a state of deep relaxation and focus. You are in control, not the Hypnotist. As you can go into this trance state, so you can come out of it whenever you want. When your conscious mind relaxes and becomes detached from everyday worries, then your subconscious mind can commence doing its amazing work, free from interruptions and sabotage from your conscious mind. This relaxed state is known as ‘trance’.